Yelp/amy s.Nelson Tailor Shop is the number-one tailoring business in New York City. 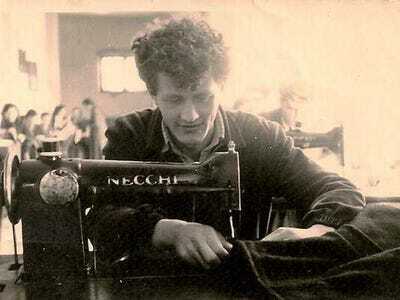 If you’re swimming in a new suit or desperate to save a lucky pair of jeans, a tailor can be your best friend. Unfortunately, too many shops force you to choose between quality, price, and turnaround time. 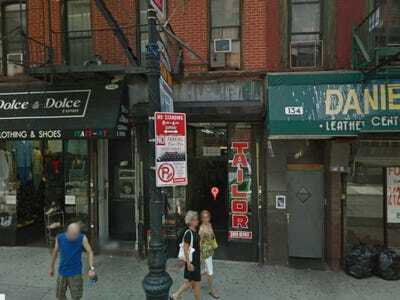 Luckily, the folks over at Yelp helped us put together a list of the best tailors in New York City, so you don’t have to make any fashion compromises. 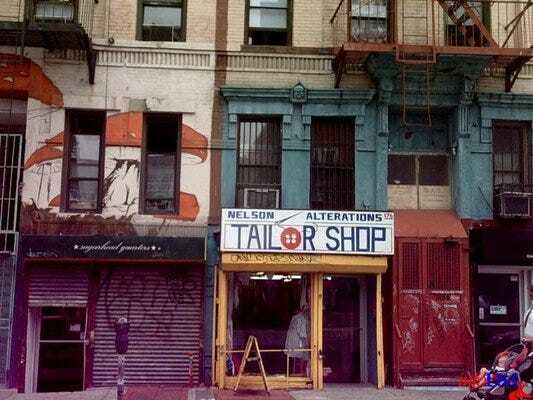 Yelp reviewers deemed Nelson Tailor Shop in the Lower East Side their top pick for its meticulous attention to detail and unparalleled customer service. This family operation boasts phenomenal customer service plus rates that fit any budget. Customers rave that the 'Keebler elf of tailoring' often completes jobs ahead of deadline and at a reasonable price. Note: Yelp's search results are based on an algorithm that is designed to provide the best results based on a number of different factors including review text, ratings, and number of reviews. Because several factors are taken into account, this is why you may see a 3.5-star restaurant with 500 reviews showing above a 4-star one with 15 reviews. Beyond Bespoke believes 'customisation is king' -- as it reflects personal style and taste. Whether you're in for a custom-made suit or a quick hem, Nick Torres and his top-notch team will get the job done. Quick fixes are Orchard Express's specialty. This hole-in-the-wall shop, equipped with old school sewing machines, offers same-day turnaround for emergency repairs. 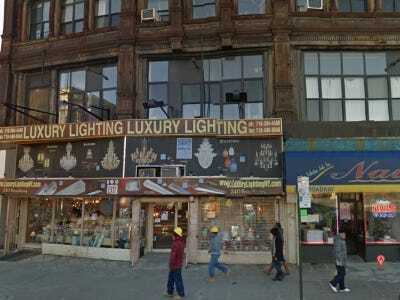 Unrivalled attention to detail and humbling dedication have been passed down through three generations of owners of this FiDi shop. The craftmanship is unmissable: 'Not only does the job get done impeccably in terms of dry cleaning and alterations, but the owner is also one of the most hilarious and kind hearted human beings out there,' Doris S. wrote. From suits to swimsuits, in fabrics from silk to wool to polyester, Adel Mikhail whips clothing into shape with impeccable skill. According to Yelp users, Alteration Shop is where J.Crew brings merchandise that is returned damaged. 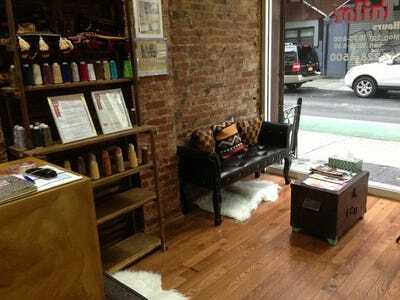 Inside an industrial loft with windows overlooking the J line, are two yappy dogs and a tailor named Arthur, described by one Yelp user as 'a warlock with needle and thread.' This appointment-only shop alters everything from dolman-sleeved Ports 1961 sweaters to Moroccan fabric pillow cases. This family-owned, appointment-only business offers a 100% satisfaction guarantee -- you won't pay for work that don't suit your needs -- and one year of free repairs to any garment previously brought in. 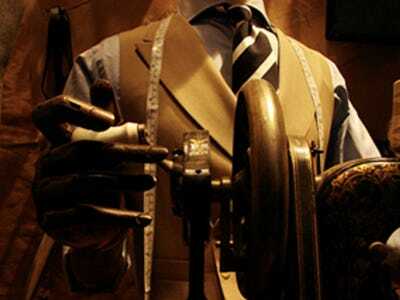 Alterations Master's expertise goes beyond performing alterations. 'The tailors there know how a suit should fit, and don't rely on a novice suit buyer to explain what they want,' Madeline J. wrote. A friendly and attentive staff paired with experienced craftmanship create perfection almost every time. 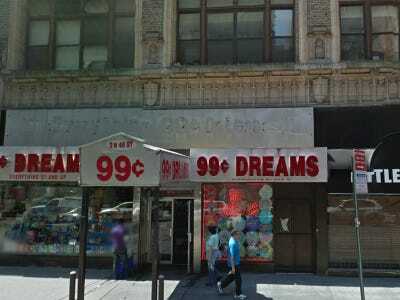 Yelp users say the price is fair for the meticulous work. Mustafa and his team of skilled seamstresses save clothing that requires drastic alterations. No job is too complicated: he's hemmed, darted, and added internal corsets to wedding dresses, and slimmed down eight-year-old suits that were up to two sizes too large. A dedicated passion and 'hipster sensibility' in design make Nelson Tailor Shop the go-to business when your new suit or tattered overcoat need a little TLC. Yelp users rave that Nelson takes pride in his work and cares about the product, not just the cash.